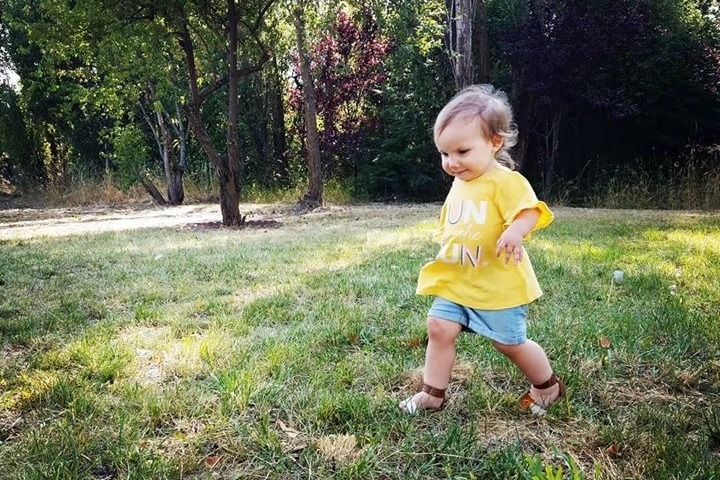 Liliana was born with a deformity in her left arm that has finally been diagnosed as Type II Radial Dysplasia. While she may not immediately appear disabled, she only has partial extension of her left arm due to an underdeveloped and deformed radius, and is missing muscles in both of her thumbs which will eventually require two separate surgeries. These deformities may just the tip of the iceberg, as radial deformities often show up in conjunction with several other deformities. 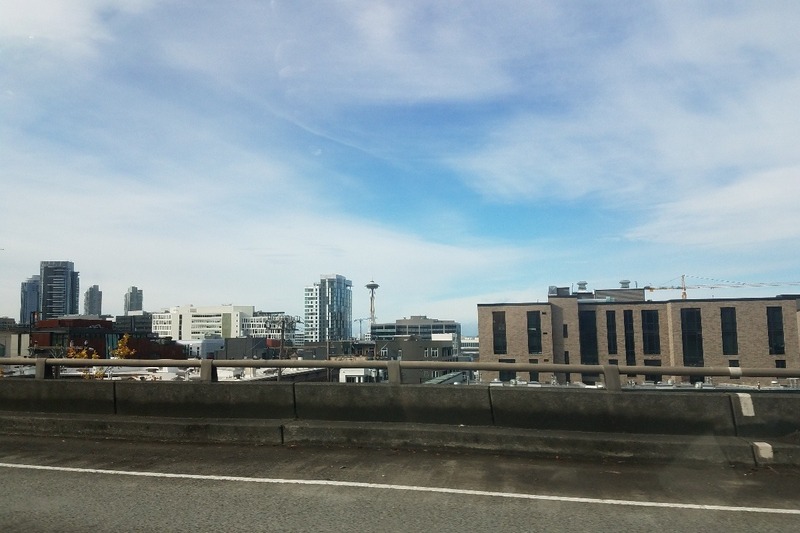 In her most recent visit at Seattle Children's hospital, we have confirmed that her spine is deformed and will require treatment by yet another specialist, and she will need testing to ensure her heart and kidneys are not affected by this condition as well. 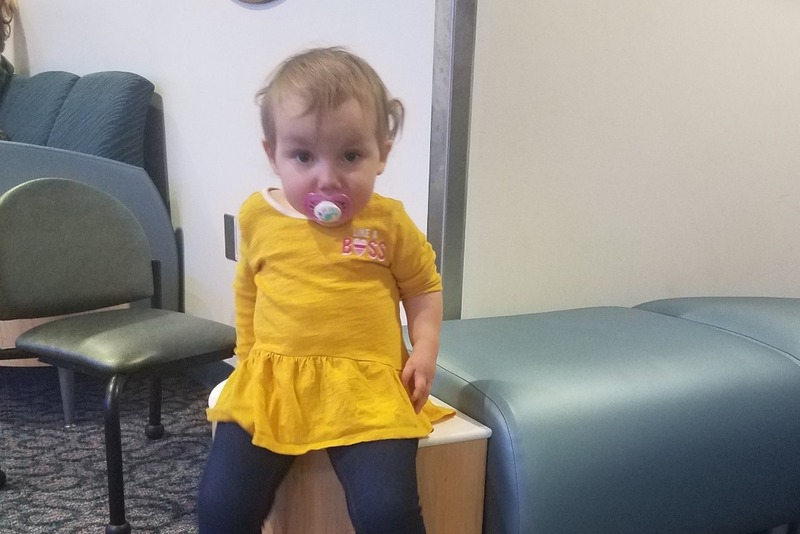 While we are very lucky to have great insurance and relatives to help us get to this diagnosis, we have a lot of traveling over months and years to come. We live in Pullman, WA, and the closest hospital we have found capable of treating her is Seattle Children's. This is a five hour journey from our home, and the expenses from these trips become considerable. Between work time lost, gas and car maintenance, food, and the occasional hotel stay, our little family is struggling. 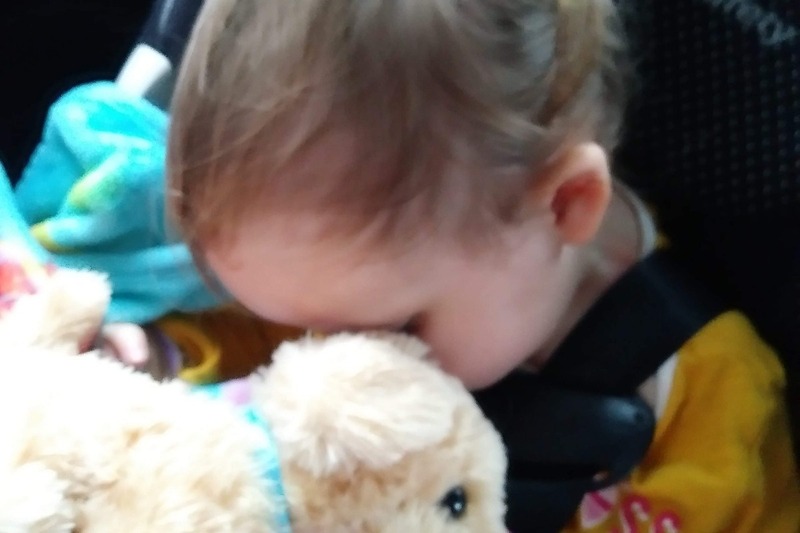 These expenses seem to be just out of our reach, and we would greatly appreciate any help we can gather together to help our daughter get the medical treatment she needs. Those of you who know Liliana know that she is a true light in all our lives. We just want her to be able to live the comfortable life that she deserves. It was a very exhausting day in the hospital, as you can see from the photos, but we left with some very good news. Lily's kidneys and heart are all completely healthy! While her spine is crooked, it doesn't seem to have any greater deformities that we would normally be concerned about with her disorder. 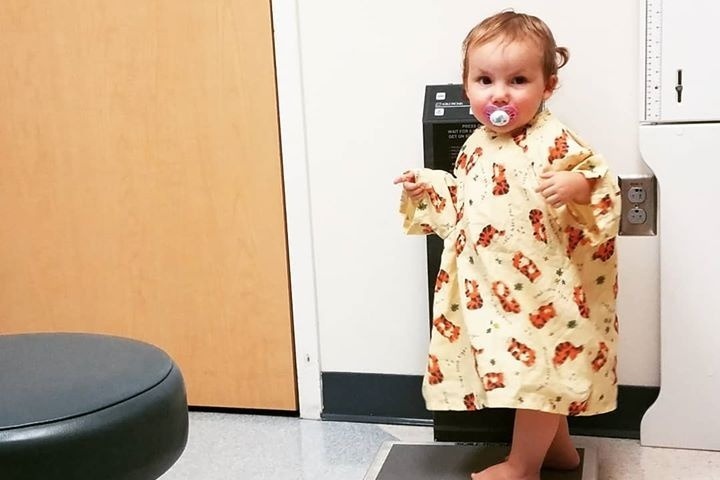 The severity of her scoliosis is right on the cusp of the parameters that they use to decide whether or not to place her in a cast. We plan on returning in 6 months to check the progress of her back and hands again. Another huge thank you to all of Lily's very generous donors! Tonight we hit the road for Seattle and tomorrow is a day full of appointments and testing for our sweet Lil. This trip would not be possible if it were not for all who have supported her. We are feeling very optimistic that we will hear good news after they look at her heart and kidneys, but please send positive vibes our way! We will be sending out more updates as we gather information and take pictures of our little journey!